As legalization of marijuana is becoming the next big policy push in many states, more and more research is being done about potential health benefits and detriments of the drug. We all know that smoking cigarettes is bad for your health, but what about marijuana? Marijuana has been shown to have few adverse health effects in most areas, however, there is one part of your body that marijuana has been proven to negatively affect: your gums. 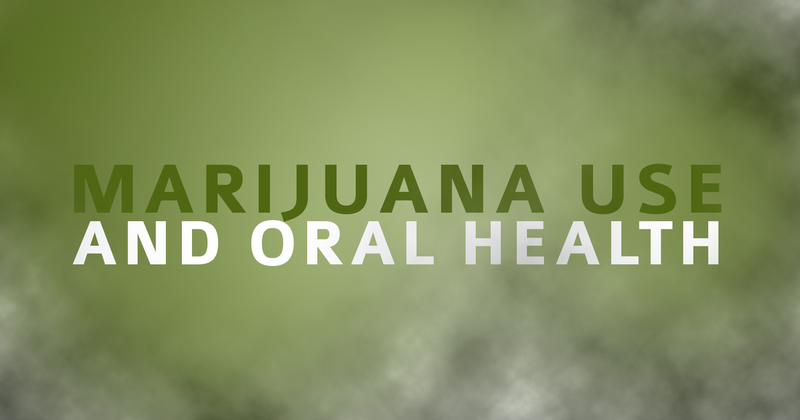 Any kind of poor oral health is likely to lead to gum disease down the line, but the findings on marijuana were surprising. Originally, researchers thought that perhaps frequent marijuana users simply were less likely to brush and floss properly, but after creating a control group for proper dental hygiene, the marijuana users were still found to have gums in worse shape than non-users. While the correlation is still somewhat uncertain, one thing is for sure: smoking weed is still not as bad for your teeth and gums as cigarettes. So, if you must smoke something, better to stick to the green stuff as long as it’s legal in your state. But in our professional opinion, avoid smoking altogether to keep a healthy mouth for life!